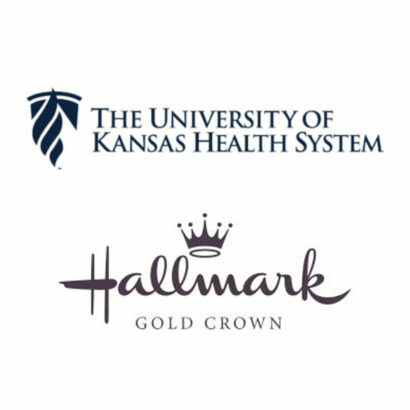 Hallmark Cards, Inc., a company that strives to create a more emotionally connected world, is partnering with The University of Kansas Health System for a pilot project to develop a Hallmark Gold Crown hospital gift shop. A Hallmark subsidiary will own and operate the store that will be in the lobby of The University of Kansas Hospital, part of The University of Kansas Health System. The main hospital building is just south of 39th and Cambridge. 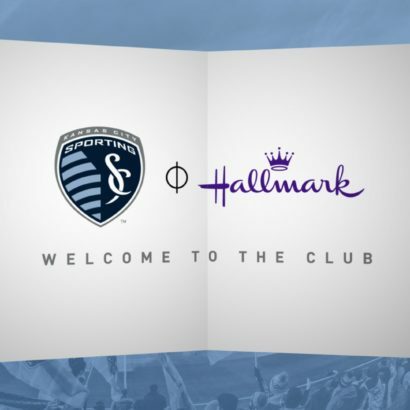 The gift shop will contain many products from Hallmark, including more than 500 greeting cards, Hallmark gift wrap and other gift items including Hallmark Keepsake Ornaments. There will also be a curated collection of gifts from Vera Bradley, Willow Tree and local vendors such as Made in KC, Something Sweet and Teefey Flowers. The retail store also will sell traditional hospital gift shop items, such as personal grooming items, snacks and magazines. The 1,213-square-foot Hallmark Gold Crown Store in the main hospital building will open October 21, 2017. Last year, The University of Kansas Health System treated in nearly 55,000 inpatients; 54,000 emergency patients; and more that 1.6 million outpatients. Health system leaders note most of those patients and family members visited the main campus, which will provide large populations to be served by a Hallmark Gold Crown store. EDITORS/PRODUCERS: Video interviews of Jennifer Seyller, vice president and general manager of Hallmark Retail and Jeff Novorr, vice president of support services of The University of Kansas Health System are available for use by all news outlets. The video also includes a look at the Hallmark space in the main hospital. Go to the Medical News Network or copy and paste www.medicalnewsnetwork.org to download video or audio files to create your own news reports. For more than 100 years, family owned Hallmark Cards, Inc. has been dedicated to creating a more emotionally connected world. Headquartered in Kansas City, Missouri and employing more than 28,000 worldwide, the approximately $4 billion company operates a diversified portfolio of businesses. Its global Hallmark Greetings business sells greeting cards and gift wrap in more than 30 languages with distribution in more than 100 countries and 100,000 rooftops. Hallmark Retail operates 2,000 Hallmark Gold Crown stores in five countries and Hallmark Home & Gifts sells a broad array of home décor and gift product throughout the U.S. Crayola® offers a wide range of art materials and toys designed to spark children’s creativity around the globe. Crown Media Family Networks operates three cable channels – Hallmark Channel, Hallmark Movies & Mysteries, and Hallmark Drama – in addition to Hallmark Publishing, the e-books division of the Hallmark channels, and Hallmark Movies Now, a subscription-based streaming service. Crown Center is a real estate development company that manages the 85-acre hotel, office, entertainment and residential campus surrounding Hallmark’s headquarters. For more information, visit Hallmark.com. Connect on Facebook, Twitter, Instagram, Pinterest, LinkedIn and YouTube. The University of Kansas Health System is the region’s premier academic medical center, providing a full range of care. The hospital is affiliated with the University of Kansas Schools of Medicine, Nursing and Health Professions, and their various leading-edge research projects. The constantly growing facility contains 768 staffed beds (plus 24 bassinets) and serves more than 37,500 inpatients annually. Eight of its medical and surgical specialty areas are ranked nationally by the U.S. News & World Report “Best Hospital” lists, including Cancer (#25), Cardiology & Heart Surgery (#36), Gastroenterology and GI Surgery (#34), Geriatrics (#18), Nephrology (kidney) (#46), Neurology & Neurosurgery (#46), Pulmonology (#32) and Urology (#17). The cancer program is part of The University of Kansas Cancer Center, one of 69 National Cancer Institute-designated programs in the U.S. The hospital has received Magnet nursing designation three times in a row, reflecting the quality of care throughout the hospital, an honor awarded three consecutive times to only 3.7 percent of the hospitals nationwide. The hospital also houses the region’s only accredited burn center, the area’s only nationally accredited Level I Trauma Center and a leading quality transplant program in liver, pancreas, kidney, heart and bone marrow. For more information, visit KansasHealthSystem.com. The University of Kansas Hospital receives no state appropriations and is financed through operating revenue, bonding authority and philanthropy. 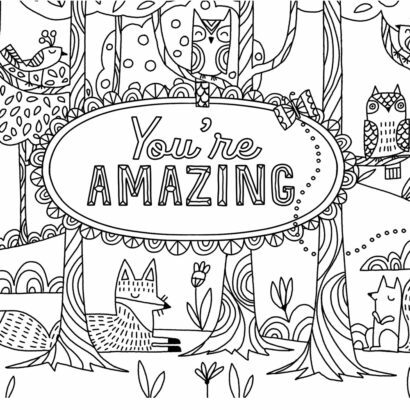 For more than 100 years, family-owned Hallmark Cards, Inc. has been dedicated to creating a more emotionally connected world. Headquartered in Kansas City, Missouri and employing 30,000 worldwide, the approximately $4 billion company operates a diversified portfolio of businesses. Its global Hallmark Greetings business sells greeting cards, gift wrap and related products in more than 30 languages with distribution in more than 100 countries and 100,000 rooftops worldwide. Hallmark Retail operates about 2,000 Hallmark Gold Crown stores in five countries and Hallmark Home & Gifts is an emerging business selling a broad array of home décor and gift product throughout the U.S. Crayola® offers a wide range of art materials and creative play toys designed to spark children’s creativity around the globe. Crown Media Family Networks operates three cable channels – Hallmark Channel, Hallmark Movies & Mysteries, and Hallmark Drama – in addition to Hallmark Publishing, the e-books division of the Hallmark channels, and Hallmark Movies Now, a subscription-based streaming service. Crown Center is a real estate development company that manages the 85-acre hotel, office, entertainment and residential campus surrounding Hallmark’s headquarters. For more information, visit Hallmark.com. Connect on Facebook, Twitter, Instagram, Pinterest, LinkedIn and YouTube.